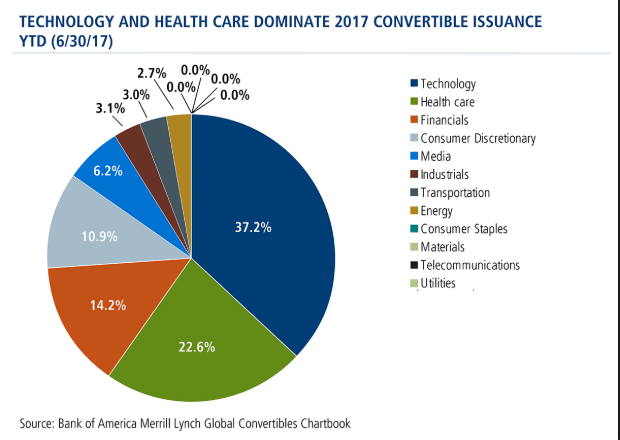 So far this year, 24 U.S. technology companies have issued $11 billion of convertible bonds, the highest volume in a comparable period since 2000 and 29% above the already-elevated level of 2017, according to Dealogic. It isn’t hard to see why: The cost of the debt is at a record low even as interest rates more broadly rise. The average coupon for convertible debt issued this year is 2.5%, the lowest on record, according to Dealogic. 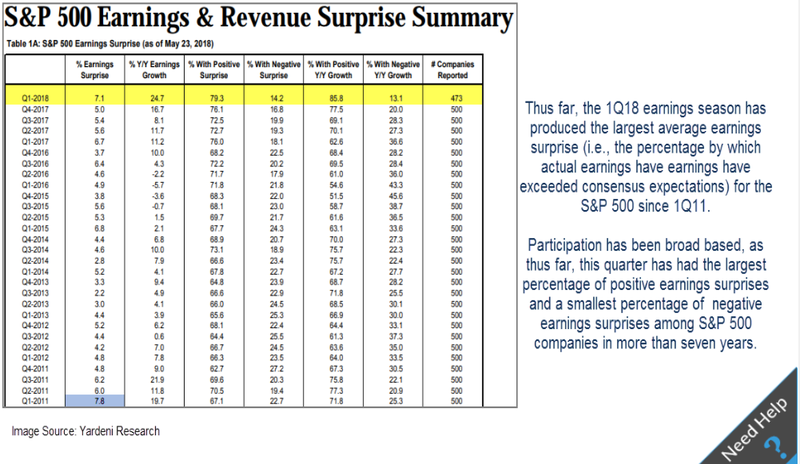 Tech companies are paying just 1.0% on average. 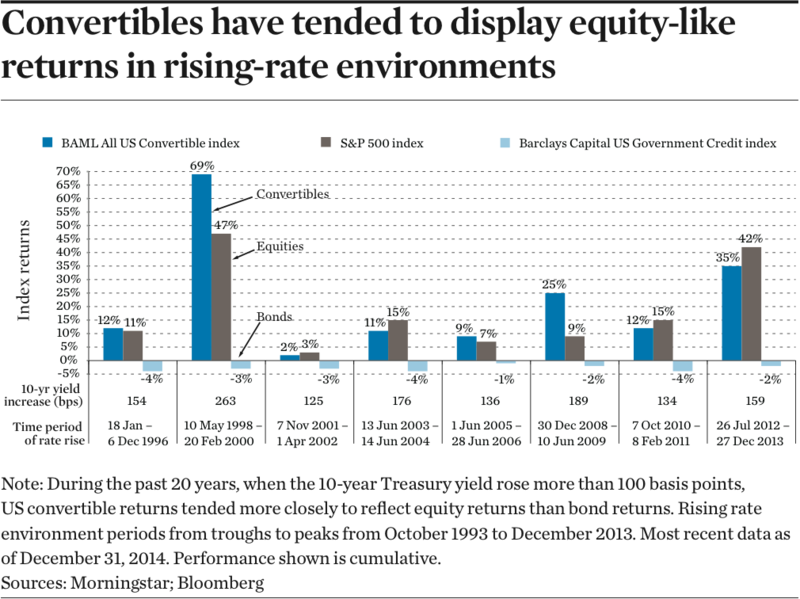 3.History of Convertibles During Rising Rate Environments. 4.Netflix Passes Disney in Market Cap. 5.Showed Emerging Market Stocks 10% Correction Last Week….Emerging Bonds -6.3% from Highs…Currency Effect. 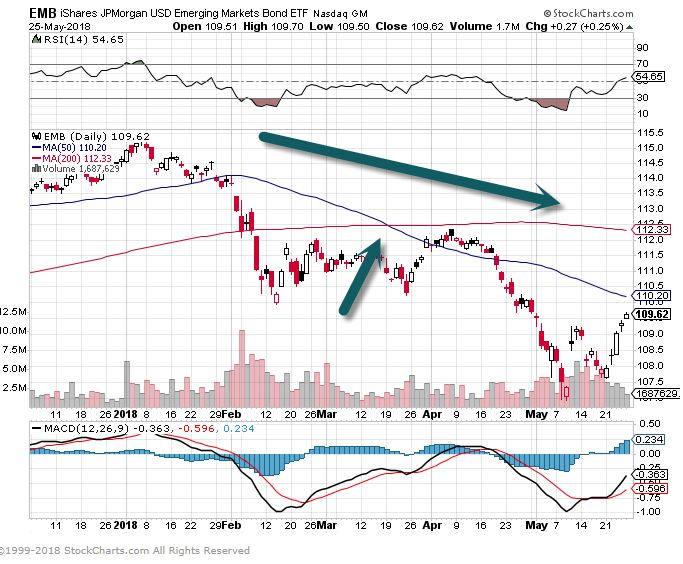 JP Morgan Emerging Markets Bond ETF—50day thru 200day to downside. 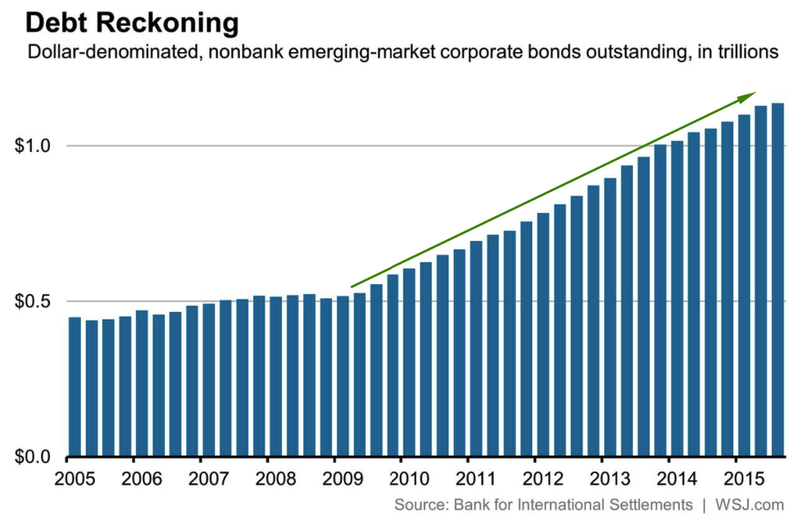 6.Emerging Market Debt $5 Trillion 2010 to $11 Trillion 2017….2/3 Dollar Denominated. 7.Dividend Play Runs Out of Steam Past 12 Months as Rates Rise. 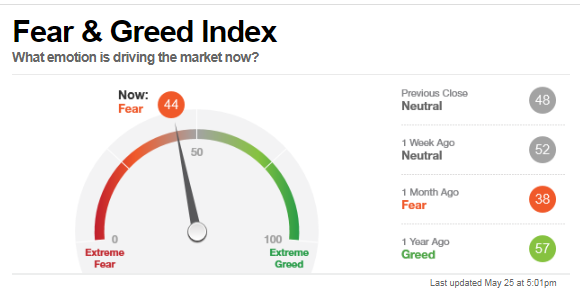 8.Monthly Check in with Fear and Greed Index…..Still Fear. Oil prices slumped anew on Monday, with investors nervous about the prospect of major oil producers such as Russia and Saudi Arabia boosting production, and as U.S. output also showed signs of picking up. 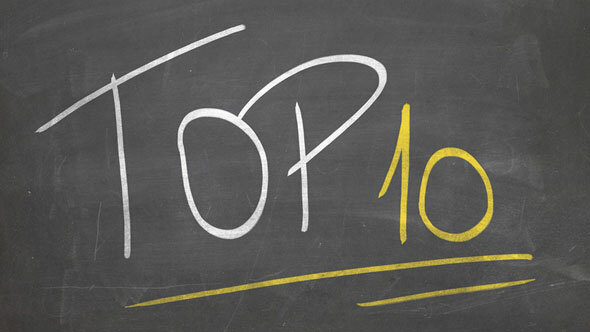 July West Texas Intermediate crude oil CLN8, -2.08% fell $1.18, or 1.8%, to $66.69 a barrel in electronic trading. On Friday, oil slumped 4% to settle at $67.88 a barrel on the New York Mercantile Exchange. That was the lowest finish for a most-active contract since May 1, according to FactSet data. Oil will not trade in the U.S. on Monday in observance of Memorial Day. Prices marked a weekly loss of roughly 4.9%, which was the first weekly slide in about a month. July Brent oil, the international benchmark LCON8, -1.47% dropped $1.10, or 1.4%, to $75.35 a barrel in electronic trading. 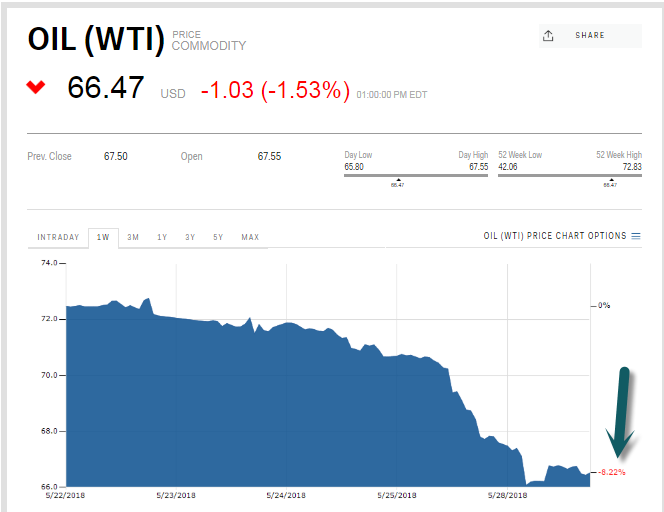 On Friday, prices fell $2.35, or 3%, to $76.44 a barrel on ICE Futures Europe, for the lowest settlement since May 8 and slid 2.6% for the week. Beyond the prospect of those part of the production-cap deal led by the Organization of the Petroleum Exporting Countries agreeing to higher output, was Friday afternoon’s disclosure that active U.S. oil-drilling rigs rose by the most since February the past week, said Phillip Futures’ Benjamin Lu. Baker Hughes BHGE, -2.72% on Friday reported that the number of active U.S. rigs drilling for oil was up 15 at 859 this week. That was the largest weekly rise since the week ended Feb. 9. That news, though, didn’t add to Friday’s price slump as U.S. output has already been at record highs. Friday’s slump followed media reports that the Organization of the Petroleum Exporting Countries and Russia are discussing plans to lift their production for the first time since 2016. Bloomberg said the major producers are considering pumping between 300,000 and 800,000 more barrels of oil a day, while Reuters said the number could be as high as 1 million barrels. The plans to now lift production again come amid worries that Iran’s exports will decline after the U.S.’s decision to pull out of the nuclear deal with Tehran and as output has collapsed in Venezuela. You can’t get better if you don’t know where you’re going wrong. Steve Jobs was legendary for a lot of things — one was the value he placed on brutal honesty. That translated not only into him being sometimes painfully honest with those who worked for him. It also meant he demanded others tell him the unvarnished truthabout what was going wrong at the companies where he worked. But how exactly did he get employees to open up to the boss? People are naturally reluctant to bring leaders bad news, after all, which means simply asking for feedback in an open-ended way rarely works well. Jobs knew all about how uncomfortable people can be bearing bad news, sp he came up with a clever way to extract honest appraisals from his teams, Silicon Valley storytelling guru Andy Raskin explained in a recent Medium post (hat tip to Business Insider for the pointer). Can getting brutally honest feedback really be this simple? That person might offer something like, ‘The design team isn’t open to new technology we’re building.’ Jobs would ask others if they agreed. He would then choose someone else and say: Tell me what’s working at Pixar. According to Famous CEO, Jobs would alternate between the two questions until he felt like he had a handle on what was going on. Apparently, the famous CEO in question claimed to have adopted the technique with much success. Rankin followed suit, adapting it to use with a workshop he was giving a few days later, also with great success. “If you work with teams in any way, I recommend trying Jobs’s technique,” Raskin concludes.